OMG My little blog has been viewed 30,000 times, I can't believe it! I started this blog for fun and to share my thoughts with like minded people and to think people enjoy reading what I have to say is something very special to me. I am having so much fun blogging and it's down to my lovely readers and fellow bloggers! So as my way of saying thank you I am holding this giveaway. 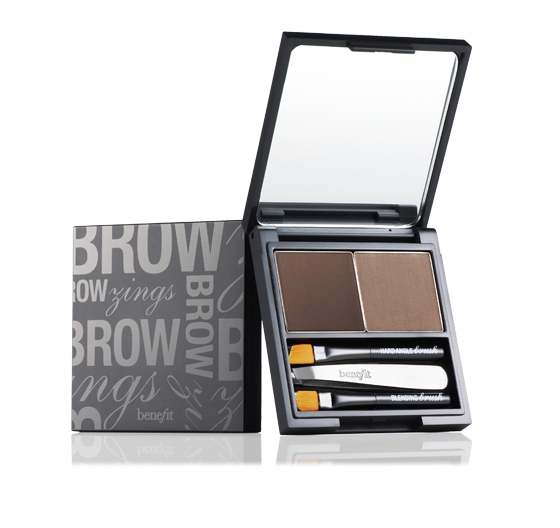 Benefit Brow Zings Brow Shaping Kit. I have to admit I never used to put much effort into my brows, I would pluck them and that would be that but I love the groomed look and groomed brows are a must! Natural-shaded powder for setting 2.65g Net wt. 0.09 oz. 1. You must be a follower via Google Friend Connect and comment below with your GFC name so I can check. 2. You must comment below on what type of posts of mine you enjoy reading the most or what you would like to see more of. Both 1 + 2 must be done to qualify for 1 entry. @emsmixedbag1 is having an amazing Brow Zings Benefit giveaway for reaching 30,000 page views - http://www.emsmixedbag.blogspot.co.uk/ Giveaway tab! Please make sure you leave a contact email address or Twitter name so I can contact you if you win. My regular readers will know I am moving house next week so this giveaway will run for just under 2 weeks (gives me time to get organised). Closing date will be Friday 6th April 2012 at 6pm and a winner will be announced soon after. Thank you to ALL of my readers!! Congrats on 30,000 views hun! Well done on the 30,000 views Em! I love your freebie posts the best! joined @GFC: dorothy lam / dorzidor?!?! .... congrats on so many blog views too! I love reading your reviews, I think you give so much information about products that are very helpful, I feel you put a lot of eefort into them. I love reading reviews, they are very helpful! Love reading product reviews, congrats on the views! I love reading your reviews and also your simple and likable style of writing your posts. Congratulations on the page views! Congatulations for the pages views!